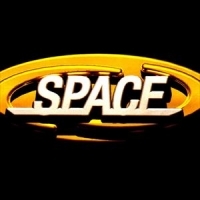 Space are a Liverpudlian indie-pop band that originally formed in 1993 and split in 2005, reforming in 2011. Original members include Tommy Scott - vocals and guitar, Franny Griffiths - keyboards, plus Phil Hartley - bass and Allan Jones - drums. During the '90s, the band had several hits including "Female of the Species", "Neighbourhood", "Avenging Angels", "Dark Clouds", "The Ballad of Tom Jones" (with Cerys Matthews) and "Begin Again". The band released their debut album, "Spiders" in 1996, followed by "Tin Planet" (1998), "Suburban Rock 'n' Roll" (2004), "Attack of the Mutant 50ft Kebab" (2014) and 2016's "Strange World".